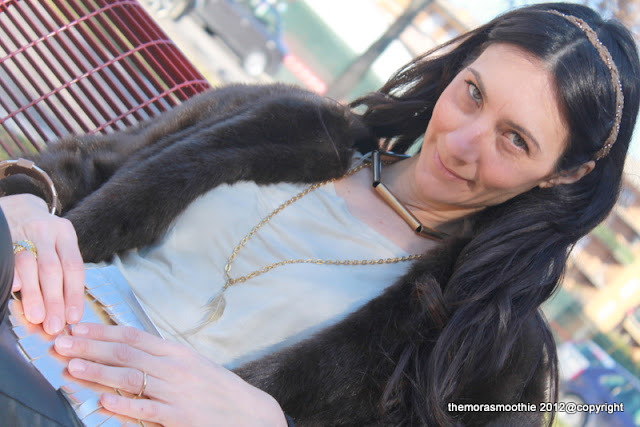 The Mora Smoothie fashion blog, DIY fashion by Paola Buonacara: My multi-Diy outfit! Hello everyone and have a nice Sunday, today I'm posting the outfit with that I wore the necklace inspired by Isabel Marant. To tell the truth I had many of my Diy, the faux fur, hair band and if you go here you can find the step by step of the bag, here the other necklace with single feather,and here the ring. Ps: I end up with super smooth hair ... The wavy hair I last very little... sigh sigh! Ciao a tutti e buona domenica, oggi vi posto l'outfit in cui ho indossato la collana ispirata ad Isabel Marant. A dir la verità avevo tanti miei Diy, la faux pelliccia, la fascia dei capelli e se vi và qui trovate lo step by step della borsa, qui dell'altra collana con piuma singola,e qui dell'anello. 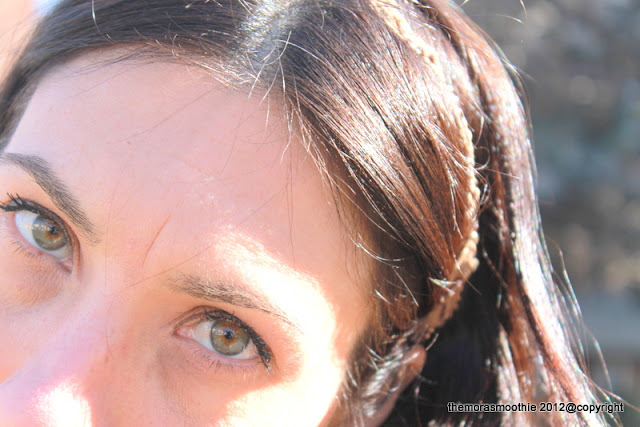 Ps: mi ritrovere super liscia...i capelli mossi mi durano pochissimo sigh sigh!